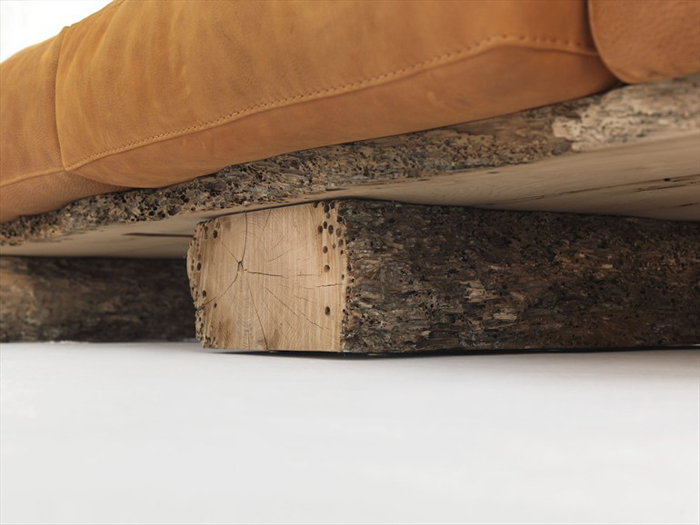 Sofa with a veneered plywood structure for the back, base and feet. Available in various compositions. Upholstered with fabric or leather cushions and exposed stitching. Available upon request in Briccola hardwood, decommissioned poles from the Venice Lagoon. Finish: base of oil / natural wax of vegetable origin with pine extracts.